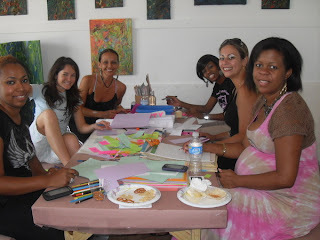 Last year I had the privilege of being one of the featured artists in Spoken Soul Festival 2011, which was a three day celebration showcasing women artists in South Florida, and community outreach. There was so much talent, high energy, fun, and just an honor to be a part of a movement to celebrate women in the Arts. What is the Spoken Soul Festival? Spoken Soul Festival- Three days of celebrating women artists. 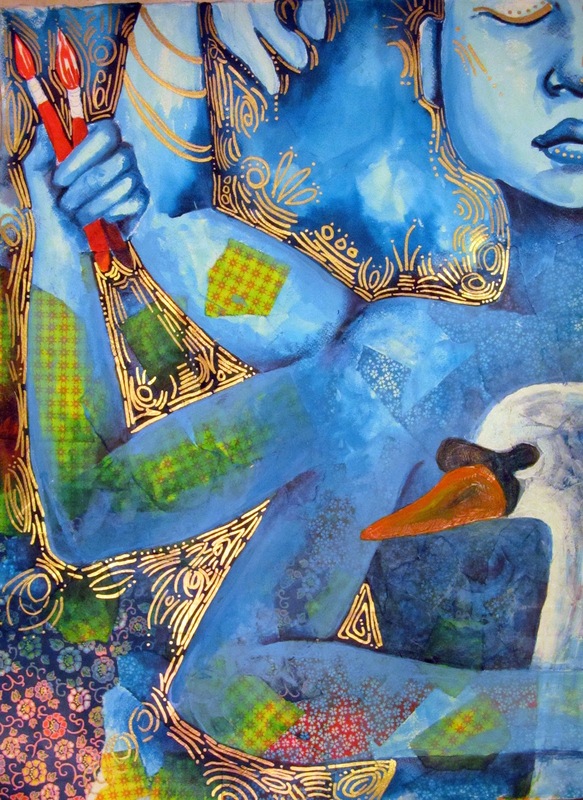 SWAN Day - Support Women Artists Now! Spoken Soul Festival / Celebrate Women Artists! SWAN Community Program is a special invitation only, community service event that empowers young girls and women through the arts. The SWAN Community Program 2012 beneficiary is The Safespace Foundation, a non -profit 501(c)(3) organization committed to the advocacy of domestic violence victims and survivors. All teaching artist interested in volunteering please email dm_spokensoul@yahoo.com. 15 South Florida women artists will be showcased, celebrating women artists on SWAN Day, an annual event that take place on the last Saturday of Women’s History Month (March). Price: $40 per person. Includes brunch. The FREE to the public, and FREE for the artists to participate, main event SWAN Spoken Soul Showcase Vol. 5 - SWAN DAY 2012, will take place on Saturday March 31, 2012 6pm – 10pm at The Moore Space 4040 NE 2nd Ave – Suite 200 Miami Design District, hosted by radio personality from both Clear Chanel stations 939 MIA and MEGA 949, Chanel. This year’s celebration of SWAN DAY 2012 is set to be the biggest thus far with fifteen featured women artists from all walks of life that now call Miami home. Guests will be treated to FREE wine bar provided by CHoCo NOir and Santos Sangria. What started out as a small dinner gathering, in five short years, it’s grown into a SWAN Diva of a festival. Spoken Soul Festival was inspired by a call for support by WITASWAN (Women in the Audiences Supporting Women Artists Now) and WomenArts, a non-profit arts service organization dedicated to helping women artists all over the world. In the first five years of Support Women Artists Now Day/SWAN Day, there have been over 700 SWAN events in 21 countries around the world. WomenArts has recognized SWAN Day Miami as one of the top five SWAN events worldwide because the festival is one of the largest SWAN events and one of the most effective in training and supporting the participating women artists. Since its launch in March 2008, the festival has been awarded proclamations from the City of Miami Beach, Miami Dade County and the City of Miami as well as a City Of Miami special City Seal. Featured artists have been commissioned or featured for shows during Art Basel - Miami, Gibson Guitar Showroom, Hardrock Café – Las Vegas, New York Fashion Week, featured in Women of The World Poetry SLAM and Gen Art’s Fresh Faces Miami thanks to their participation and exposure in Spoken Soul Festival. Singers such as local favorite Antonia Jenaé, top selling poet, Haiku Death Match Miami Champ 2011 and featured author of Hialeah Haiku Elena Santayana, NFAA’s YoungArts star visual arts discipline coordinator lonijae (Loni Johnson) along with other up and coming DJ, photographers, and designers are set to blaze The Moore Space with talent, grace, color, and living ART. “This is my favorite event of the year! It’s such an honor to be a part of Spoken Soul Festival and SWAN Day. Every year there’s a new group of talented women that leave me in awe.” gloats on-air radio personality Chanel – 9393 MIA and MEGA 949. The Miami Design District www.miamidesigndistict.net is a unique, 18 square-block neighborhood just north of downtown Miami. It is also home to world-renowned furniture and design companies and art galleries.